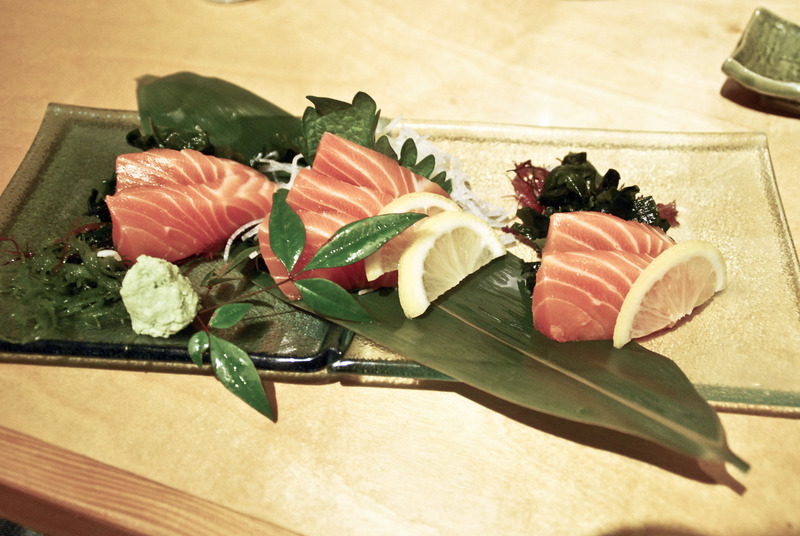 Gochi is a really nice place to take your friends or family, just be sure to make a reservation beforehand or be prepared to wait a while for a table because this place is very popular. Most of the seating is traditional tatami seating, which requires you to take off your shoes before entering the seating area. There are also several group booths as well. Tim and I came here for dinner before Christmas holiday and ordered several dishes. The service was actually pretty quick for us, even with the restaurant completely filled. 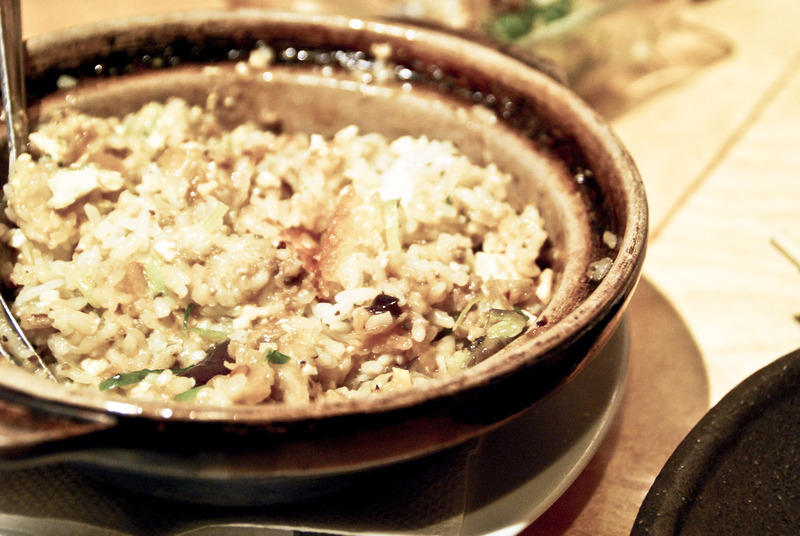 I think 5 dishes is perfect for two people, especially if one of the dishes is a clay pot of rice. I definitely will be coming back here again, and hopefully will have room left to try a dessert! 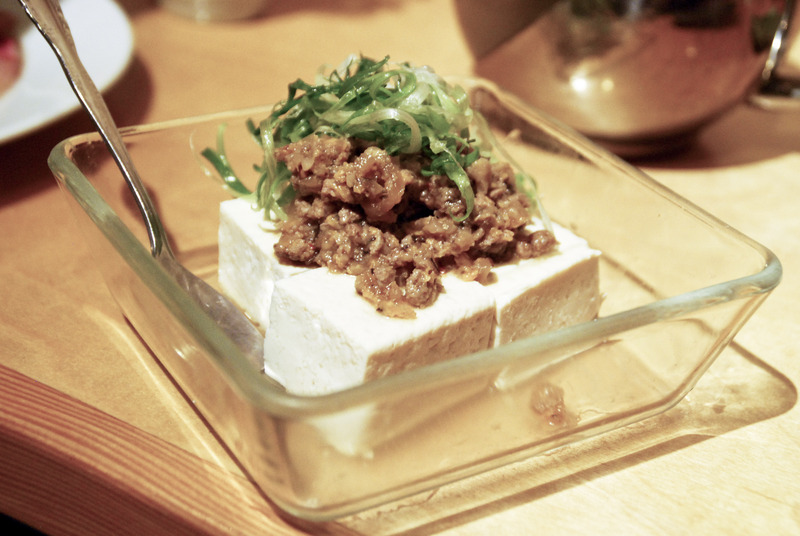 Cold tofu topped with flavored minced pork and vegetables. I think I prefer tofu warm, but the pork flavor was delicious and made a great choice for an appetizer. Garlic ginger ponzu and chopped jalapeno drizzled with garlic oil. Yum! Beautiful presentation. 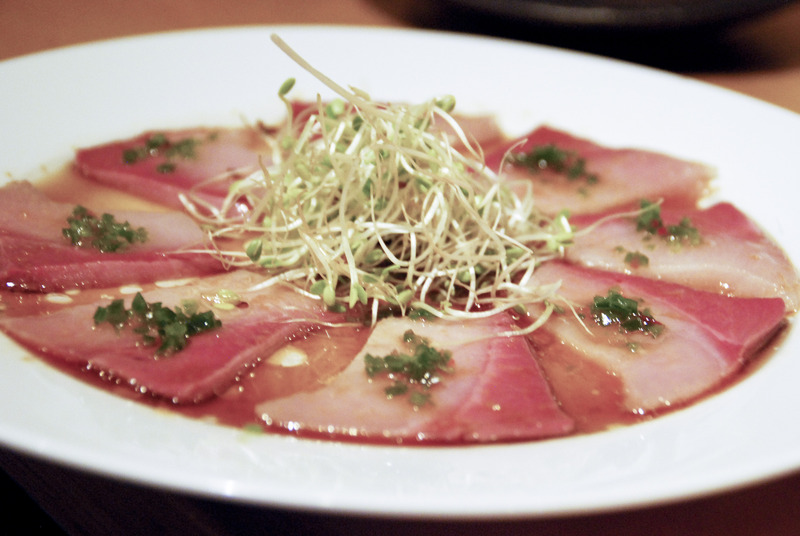 Carpaccio is thinly sliced raw meat or fish. 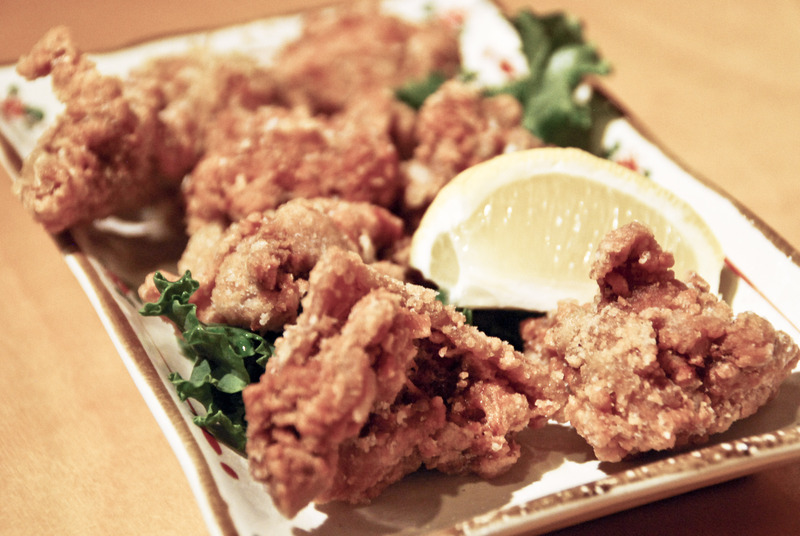 And for our meat choice, soy marinated boneless chicken.. fried! Spicy pork over crispy rice in a clay pot. The restaurant usually asks guests to allow at least 20 minutes for this dish to be prepared. I wish I had a better picture of this one, it was so good. The server brings the hot pot over to your table and it’s sizzling. She then takes a serving spoon and mixes the pork mixture with the rice before serving.